If you do not have floor space to spare for an air cleaner, air purifier, air filtration system to help you with reducing or getting rid indoor air quality problems such as of dusts, odours, chemical odor control, cigar, cigarette smoke, cooking odors, chemical fumes from your favorite hobby or past-time, we have an air filtration system, air cleaner, air purifier that can be hung or suspended from the ceiling using “S-chain and hooks”, or wall mounted and sitting on a shelving system. Sick Building Syndrome is not a catch word from two decades ago that has since been forgotten. A growing number of employees and workers file complaints about their workplace, saying it makes them sick. It is common for buildings to expose workers to irritants that can lead to headaches, eyes, nose and throat irritation, respiratory problems and more. According to the Occupational Safety and Health Administration (OSHA), indoor air quality (IAQ) is “a major concern” because it can impact the health, comfort, well-being and productivity of building occupants and employees. If a building has humidity or ventilation problems, occupants may be exposed to mold, chemicals, gases, odors, particles and other contaminants. Here are some common workplace concerns and possible solutions. Office workers’ nemesis: Dust and mold as well as chemical emissions from office equipment, printers and other products can affect people’s health and well-being. Solutions: Better ventilation, building maintenance and mold remediation, portable air cleaners for offices, source capture air cleaner for office printers. Salon and spa safety and health: Salon and spa products can contain or release irritating fumes and chemicals that can cause reactions in workers and clients. 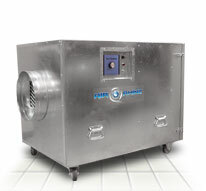 Solution: More natural products, source capture air cleaners for salons and spas. Veterinarians’ client conundrum: Animals can trap dander, dust, molds and pollen that can lead to allergic reactions. Solution: Room air cleaners like the ones used for dental labs. Construction chaos: Construction sites often feature high levels of dust, fibers and chemical fumes. Solutions: Personal protective equipment (including masks), good ventilation, portable air cleaners like those used for mold and asbestos abatement. Evidence protection problems: Law Enforcement agencies often have to deal with packed evidence rooms, marijuana storage and associated aspergillus mold problems, other drugs and chemical fumes. And don’t forget the administrative side of things. 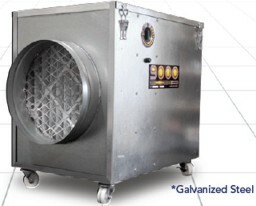 Solutions: Good ventilation, proper storage techniques and room maintenance, 24-7 use of an industrial-strength air cleaner for law enforcement agencies. Many professions and industries can expose workers to irritants and poor indoor air quality. An effective air cleaner with activated carbon + HEPA + UV filtration can help remove the widest range of contaminants, including chemicals, gases, odors, dust, particles, pollen, bacteria, viruses and mold. Contact us for more information and recommendations based on your workplace and IAQ concerns. 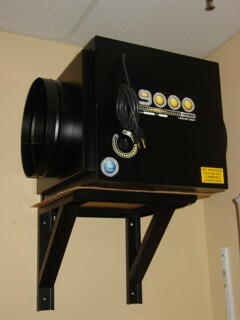 Great for workshops, woodshops, wood-working shops, warehouse, storeroom, stock room, and other dusty environments. Veteran woodworkers know the obvious dangers of working in woodshops; from noise levels to dangers tools, woodworking poses serious hazards. Proper safety equipment (helmet, goggles, gloves, boots) must be worn at all times, however, there isn’t a piece of a equipment woodworkers can wear to protect their lungs and keep clean air circulating in their woodshops. Risks of the trade are well-known, as far as bodily injuries go, but little is known about the health hazards associated with woodworking and woodshops. Wood dust, mold and fungus, sap and oils, chemical additives, and toxic solvents and adhesives can cause respiratory damage to woodworkers. Wearing a face mask often isn’t enough to stop the airborne toxins from causing illness in the woodworkers. Wood dust is a carcinogen. Long-term exposure to wood dust can lead to serious health complications like dermatitis, mucosal and non-respiratory effects, allergies and even cancer. When using circular saws, band saws, sanders, jointers, shapers, routers, lathes and planers/moulders it is important that woodworkers have proper ventilation set up for clean air in their wood shops. 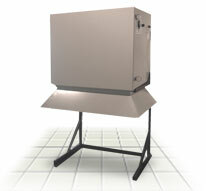 While each woodworking tool is unique, the air purification system in place can be encompassing to suit all applications. Clean air is so important, especially when working in an environment as volatile as a woodshop. It’s also important to note that a simple air filter would not suffice. Filters would become clogged quickly. With a special bag filter option designed for large particle filtration, Electrocorp products are well equipped to work in environments with heavy sawdust or drywall dust. The bag filters are easy to clean and reusable. This is an excellent option for situations where a HEPA filter would become blocked too quickly to be effective. Dimensions: 26" x 26" x 37"
Poor indoor air quality can have an effect on anyone – but seniors count among especially vulnerable groups. Polluted indoor air has been linked to sneezing, coughing, eye, nose and throat irritation, allergic reactions, aggravated asthma, even cancer. Assisted living facilities and retirement homes can improve their indoor air quality in many ways and also adopt more environmentally friendly practices. Open windows regularly and turn off the A/C when possible. Opening windows is a cost-effective way to increase ventilation in the residences and provide fresh air. Make sure the outdoor conditions are agreeable in terms of temperature, air pollution and noise. Opt for individual HVAC systems for each unit in the residence. This makes it easier for seniors to control their living environment and can reduce costs and complaints. Install programmable thermostats. The thermostats can make sure the temperature drops overnight, for example, to save on heating costs. Use low-flow toilets. These can save a lot of water and are much better for the environment. Clean with environmentally friendly and non-toxic cleaning agents. Common cleaning products can add to poor indoor air quality because they may contain harsh chemicals and volatile organic compounds. Vacuum cleaning the right way: A vacuum cleaner with a HEPA filter is more effective and won’t release as many particles into the air. Use low-VOC paints when renovating: Normal paints can off-gas volatile organic compounds for a long time, so low-VOC or even zero-VOC paints are a much better alternative. Cleaner indoor air can help improve the health and well-being of residents, who may be affected by a wide range of pollutants, including chemicals, gases, odors, bacteria, viruses, mold, particles and dust. 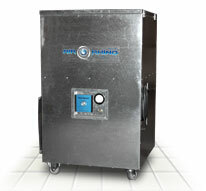 Allerairsolutions.com offers portable air cleaners with a multi-stage filtration system that can effectively remove these pollutants from the ambient air. The air cleaners are equipped with deep-bed activated carbon filters, HEPA filters and optional UV lamps to provide the most enhanced filtration power. 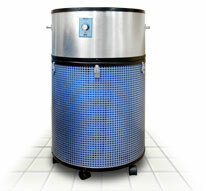 Contact Allerairsolutions.com for more information and more options. Activated carbon is a preferred adsorbent for gaseous contaminants in many industrial applications. The Scrubber/Adsorber/Biofilter World Markets report by McIlvaine paints a positive outlook for the industry for next year – forecasting demand from the pulp and paper, chemicals, metals, mining, waste incineration, refining and waste-water industries. The biggest market will be East Asia by far, the report says, with North America in the second position. The Canadian and American pulp and paper industry may be looking at scrubbers for recovery furnaces, lime kilns and toxin removal elsewhere in the processes. China and Indonesia are expected to be big purchasers, especially for the steel industry (to capture dust and other emissions) and the cement industry, while Indonesia and other East Asia countries have a growing pulp and paper industry in need of odor and chemical control. The air cleaners feature a large activated carbon filter, HEPA and UV filtration to remove many chemicals, odors, gases, fumes, particles, dust, bacteria, viruses and mold from the ambient air. Different carbon blends are available to target specific gaseous pollutants. Contact US for more information and recommendations. A study underway at the University of Alberta (UoA) may shed light on health effects that exposure to welding fumes and metal dust have on female workers in metalworking and electrical trades. The research project, called "Women's Health in Alberta Trades - Metalworking and Electricians" (WHAT-ME), is a collaboration among researchers from the UoA, Northern Alberta Institute of Technology and the Alberta Apprenticeship and Industry Training. It targets women in the province who have taken part in apprenticeship training in one of the relevant trades at any time during the last five years. "It would include a variety of different trades where welding is a significant component," co-investigator Dr Jeremy Beach, associate professor with the UoA, says of the study. Metalworking jobs include welders, boilermakers, ironworkers and blacksmiths, while electrical trades include cable installers, power line technicians, and construction/marine/plant electricians. Approximately 180 women, of which about 10 are pregnant, have been recruited for the study. Apart from reproductive health, the study will also look at health issues surrounding respiratory health, skin problems, nickel sensitization and musculoskeletal problems, Dr Beach says. The initial motivation came from the Canadian Standards Association (CSA), which has raised concerns about possible health risks to pregnant welders who are exposed to welding fumes, says Dr Beach. "There have been a number of different health hazards but nobody's looked in much detail about women as a group when they come into this trade." David Hisey, chair of the safety committee on welding, cutting and allied processes for the CSA, says that there is a need for an "increased level of safety" considering more female welders are entering the workforce in Western Canada. "We want to make sure we know the hazards that we are putting our kids into and if there's more protection that needs to be provided for all workers, then we need to be looking at that," he adds. Dr Nicola Cherry, the study's lead investigator and head of the occupational medicine program at the UoA, was initially concerned that the numbers of women in these trades were so small "that you just couldn't find out anything useful," says Dr Beach. The last few years have seen an increase in women, prompted by the shortage of tradespersons in the province. "There has been definitely a noticeable increase in females in welding trades for sure," agrees Dan Tadic, director with the Canadian Welding Association in Milton, Ontario. Welding, a process that uses high heat to melt and join metals, is widely used across various industrial sectors such as construction, shipbuilding and bridge construction. "Just about anything that uses metal can and is usually welded," says Tadic. There are hazards, however, which can include eye injury (from intense light and flying hot slag), radiation and toxic welding fumes consisting of oxides, silicates and fluorides, notes information from the Canadian Centre for Occupational Health and Safety. A 2008 study from Finland found that maternal exposure to welding fumes or metal dusts during pregnancy may increase the risk of preterm delivery and reduce intrauterine growth. There was also some suggestive, but inconsistent, evidence that the risk of preterm delivery and reduced fetal growth is related to paternal exposure to welding fumes, the paper notes. Results were gleaned from observations of 1,670 women who worked during pregnancy, of which 68 (four per cent) were exposed to either welding fumes or metal dusts or fumes. The paper found that nitrogen oxide, a compound found in welding fumes and/or metal dusts, was identified as a compound responsible for low birth weight and spontaneous abortion among dental assistants. "Prenatal exposure to [a] complex mixture of combustion products, emissions from unvented or poorly vented stoves, and ambient air pollution may also increase the risk of adverse pregnancy outcomes," the paper adds. "It depends on how well you take care of yourself," suggests Gerald Bellehumeur, president of GRB College of Welding in Edmonton, says of welding and its effects on pregnant workers. "[I've seen] women in the trade for so many years. Women work until they are six or seven months pregnant." welding fumes at the source. 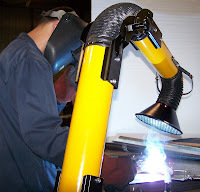 Electrocorp has designed air filtration systems for welding and soldering applications to protect workers from many chemicals and welding fumes at the workplace. 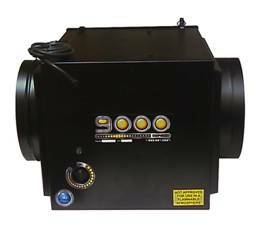 The portable, powerful units capture many toxic fumes at the source and adsorb gases and chemicals in a deep bed of activated carbon, using 40 to 80 pounds of this efficient filtration media. 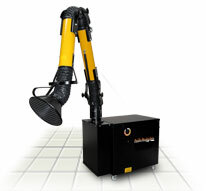 The units are designed for TIG, MIG and arc welding operations and feature a spark arrestor, flexible arm and optional custom carbon blends as well as a HEPA filter for particles. 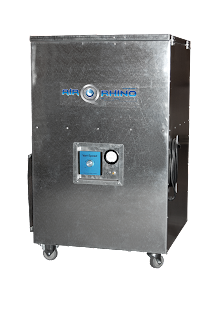 Electrocorp also offers air purifiers specifically designed for soldering applications, including a tabletop unit with an intake hood and a smoke particle filter as well as an activated charcoal filter. Contact us to find an IAQ solution for you! Despite known risks and recommendations for protective equipment, many people are still at risk of getting asthma after chemical exposure at work. This is the finding of an international study of 13,000 people carried out at Sahlgrenska Academy. Asthma is among the most common adult diseases in the world. Despite the fact that the risks of chemical exposure have long been known and that there are well-established recommendations for handling chemicals and protective equipment, many cases of asthma are still caused by exposure to harmful substances at work. This latest study analyzed asthma cases among 13,000 randomly selected adults in Sweden, Norway, Denmark, Iceland and Estonia from 1980 to 2000. According to the study, 429 people had new-onset asthma during this period. Seven percent of the cases among women were linked to workplace exposure—and among men, the number was as high as 14 percent. The study found that total incidence of new-onset asthma was 24 cases per 1,000 men and 44 cases per 1,000 women. “To be able to work with primary prevention, it is essential to know which agents at work increase the risk of asthma and which occupations are at high-risk,” says Linnea Lillienberg, researcher at Sahlgrenska Academy. “Some people are more susceptible than others. For example, people with hay fever (atopic) are at higher risk of occupational asthma if they’re exposed to proteins from plants and animals. But if we look at individuals with no increased susceptibility (nonatopic), the risk was higher among those compared to atopics if exposed to epoxy and diisocyanates, which are found in glues, varnishes and insulation foams. Among nonatopic women , the risk was particularly elevated among those who handled detergents,” says Linnea Lillienberg. The study Occupational Exposure and New-onset Asthma in a Population-based Study in Northern Europe (RHINE) was published in The Annals of Occupational Hygiene. The U.S. Department of Labor's Occupational Safety and Health Administration has cited AC&S Inc. with 12 serious violations at the chemical manufacturer's Nitro facility following the death of a worker. During sandblasting activities, the air line for a supplied air hood was hooked up to a nitrogen gas line and the worker became unconscious. Nitrogen gas presents several risks, including displacing available oxygen. The serious violations related to the fatality included failing to label nitrogen lines at connection points and not ensuring that breathing air couplings were incompatible with other gas systems. "ACS has a responsibility to ensure that its workers are safeguarded from workplace hazards and by not properly labeling its gas systems failed to protect a worker who ended up losing his life. That is intolerable," said Prentice Cline, director of OSHA's Charleston Area Office. "OSHA's standards are designed to prevent this kind of tragic incident." Other serious violations included failing to provide training on hazardous chemicals, ensure stairways wider than 44 inches have handrails on each side, provide process safety information and process hazard analysis, use approved electrical chain hosts, develop a mechanical integrity program, and document that equipment complied with recognized and generally accepted good engineering practices. A serious violation occurs when there is substantial probability that death or serious physical harm could result from a hazard about which the employer know or should have known. Proposed penalties against AC&S Inc. total $42,700. Disclaimer: Espitech Air Products disclaims all warranties, implied or otherwise, that anyone (non-smoker or smoker) who installs our air purifiers, air cleaners, or air scrubbers as an alternative to seeking a smoke free environment will be protected from the health risks caused by exposure to second hand smoke. "No air filtration or air purification system has been designed that can eliminate all the harmful constituents of secondhand smoke. A reduction of the harmful constituents of secondhand smoke does not protect against the disease and death caused by exposure to secondhand smoke. The U.S. Surgeon General has determined secondhand smoke to cause heart disease, lung cancer, and respiratory illness." When an Allerair or Electrocorp air purifier air cleaner air scrubber air filtration system is used (specifically designed for tobacco smoke with appropriate impregnated carbon and matching pre-filters are available), indoor air can be re-circulated. Therefore, it is possible to save the costs of energy and maintenance of the heating & cooling systems used to pump in outdoor air. 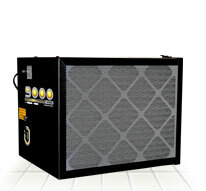 Allerair air purifiers air cleaners air scrubbers air filtration systems can help save you money on cleaning bills. These savings alone can more than pay for the air purification system. 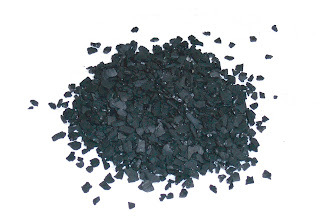 The activated carbon media can be replaced easily and at a minimal cost. 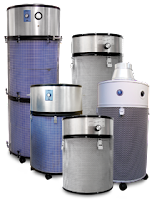 We are you source for genuine replacement filters and parts for your Allerair – Home and Office and Electrocorp – Industrial and Commercial air cleaners, air scrubbers, air purifiers, and air filtration systems. You can order online or place your order over the phone.